The Swim Jig's narrow head design allows the bait to come through the water with little resistance. The Swim Jig is offered in a Heavy Cover and Open Water model. The Heavy Cover model features a heavy wire 30 degree Mustad Ultra Point Hook and heavy weedguard. 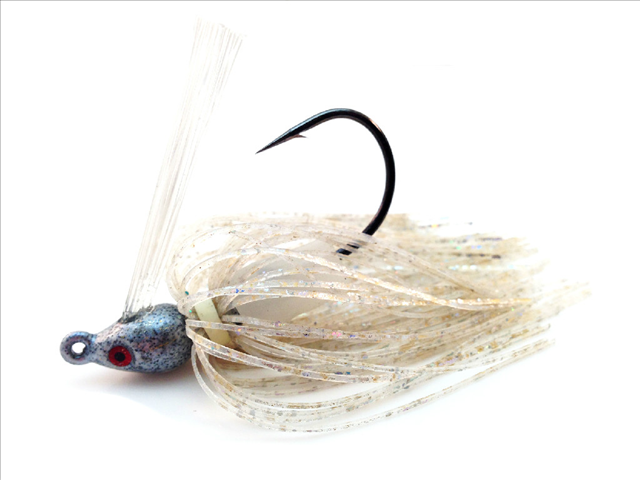 The Open Water Swim Jig is equipped with a 30 degree standard wire Mustad Ultra Point Hook and a medium weedguard. Try the Swim Jigs in those high pressured lakes when crankbaits or spinnerbaits fail to produce. The Swim Jigs are equipped with a standard neoprene skirt collar. Select Sizes 1/4 Oz.5/16 Oz.3/8 Oz.1/2 Oz.